Bring a large pot of salted water to boil. Place the broccoli and cauliflower florets into the boiling water for one minute. Drain and rinse florets. 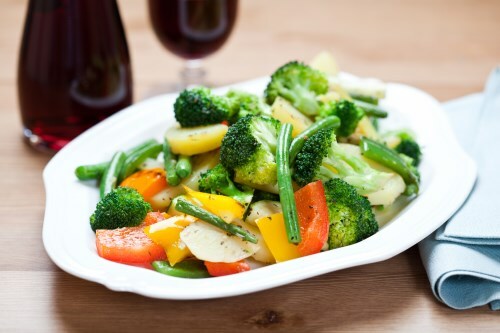 Combine broccoli, cauliflower, bell pepper, cucumber, carrot and Italian salad dressing in a medium size mixing bowl. Cover the bowl and refrigerate the vegetables for one hour.